Nearly 52 years ago, a Syrian political leader hiding in exile was killed in the heart of Brazil. As Syria watchers continue to monitor and understand the country’s grinding civil war, the era of the former Syrian political figure Adib Al-Shishakli could yield some clues. The flag of the Syrian opposition factions bares the green, white, and black tricolor with three red stars. The very same flag once flew over Syria from its independence until the late 1950’s, a turbulent era marked by political intrigue, military coups, early experiments with democracy, and authoritarian rule. At the center of this era was a powerful political figure now barely remembered both outside of Syria, Adib Al-Shishakli. As policy makers in capitals across the Western World grapple with Syria’s endless violence, Shishakli’s legacy and the lessons from his time are worth remembering today. Shishakli’s rule over Syria, geopolitical trends, his relationship with the Syrian Social Nationalist Party (SSNP), and his ensuing ouster yield some clues on what we might expect as the civil war prepares to enter its sixth year. Hailing from Hama, Shishakli was a Syrian Kurd who served in the Arab armies that took part in the 1948 Arab-Israeli War. His exploits on the front lines earned him a following among Syria’s officer corps. Though Shishakli was not known to be an ideologically driven figure, he entertained many of the nascent political activists at the officer’s club in Damascus. Shishakli was largely known for his close association with Antoun Saadeh’s SSNP, also sometimes referred to as the Parti Populaire Syrien (PPS). In addition, his participation in nationalist inspired actions against the French, such as the take over and occupation of the Hama citadel in 1944, only added to his reputation as a man of action. Syria’s politically turbulent years in the wake of independence saw the reigns of leadership held by prominent nationalist personalities, such as Shukri Quwatli, and subsequent power squabbles between his National Bloc and the pro-Iraqi Aleppo-based People’s Party, with plenty of political intrigue from the SSNP and its primary competitor, the student dominated Baath movement. The country was soon rocked by a series of coups that turned the country into a pariah state. Shishakli came to power in 1950 with the third military coup which brought about a short period of stability. Shishakli had aided General Husni Ziam in Syria’s first coup by leading an army division. 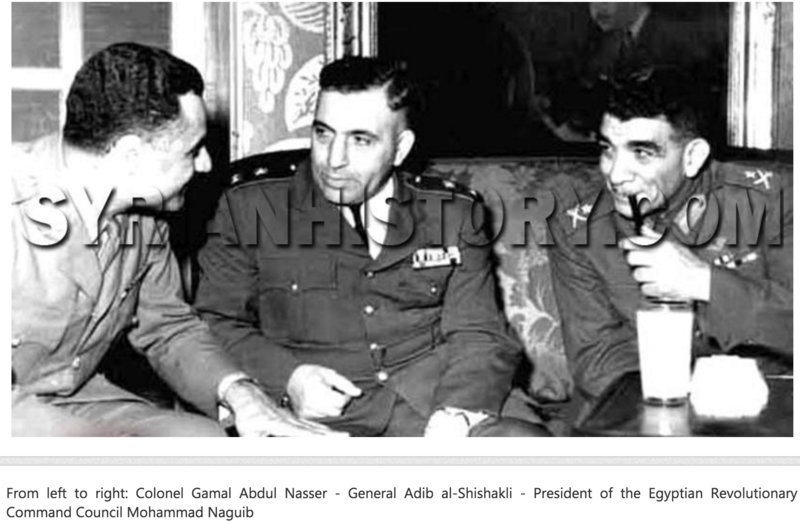 However, it was Shishakli’s rule which marked the first time the military would fully enter political life in an Arab country, establishing a trend that would acquaint regional armies with the taste of high office. For some, the period of military rule had benefits. The Shishakli regime cracked down on crime, enforced strict control of Syria’s porous borders, and work to build the army into a modern force. Shishakli also harnessed the power of the radio and was well known throughout the region even before Egyptian President Gamal Abdul Nasser for his oratory and zeal that reverberated through the airwaves. He was the first post-independence Arab leader to cultivate a cult of personality with his pictures appearing in every shop window and established a government ministry of information and propaganda. His spies and security agents were posted throughout the country to monitor any potential anti-Shishakli activity. All political parties were banned, especially religious parties. Long before Egypt’s deadly cat and mouse game with the Muslim Brotherhood (MB), Shishakli barred the Islamic Socialist Front (Syria’s early incarnation of the MB) from participation in politics. Maarouf al-Dawalibi of the MB, was close to the Aleppo’s People Party and was removed as the Minister of Economy after Shishakli’s coup. 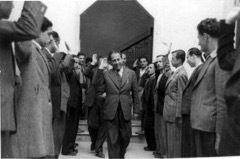 Upon returning from Egypt, Shishakli was greeted at the airport by the pro-Baath army officer, Adnan al-Malki with demands for political reform. Shishakli had Malki compile a list of everyone involved in the confrontation and threw them in prison. Despite the crackdown, there are those who recall Shishakli’s era, or have studied it, that speak fondly of him, remembering the avant garde laws that were enacted during his time. 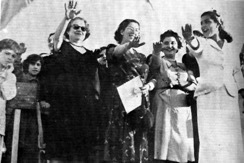 The Damascus International Fair of 1954 was one of Shishakli’s development projects to raise the country’s international profile, along with the Port of Latakia. 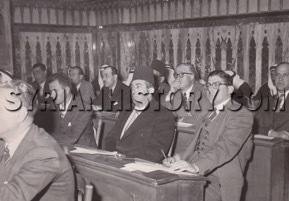 The first woman to run for office was schoolteacher Thuraya al-Hafez, who sat in Shishakli’s 1953 Parliament. Even after his overthrow, Syrians were for years in awe of his rule. The Assad regime maintains the aura of stability, modernity, and progressive attitude towards women over the territories it controls. Despite being part of Iran’s so-called Axis of Resistance, Assad’s regime still embraces secularism to generate support from Syria’s religious minorities and those who wish to keep Sunni Islamists from dominating the public sphere. “Syria is the current official name for that country which lies within the artificial frontiers drawn up by imperialism.” The famous quote from Shishakli from 1953 still holds a measure of truth. Syria’s borders have constantly been subjected to bouts of internal secessionism or tested by neighboring states. Historical examples include the Golan Heights, Hatay, and most recently, Rojova. Analysts often speak of creating an Alawite state. Just as internal political and ethnic rivalries fostered instability, so did the region’s geopolitics, which during Shishakli’s time was primarily a contest of dominance between Iraq and its British-backed Hashemite rulers, and the Egyptian-Saudi alliance. For the West, Syria was viewed through the prism of the Cold War and the battle against Communism. France continued to vie for influence in its former colonial dominion in order to check the British. 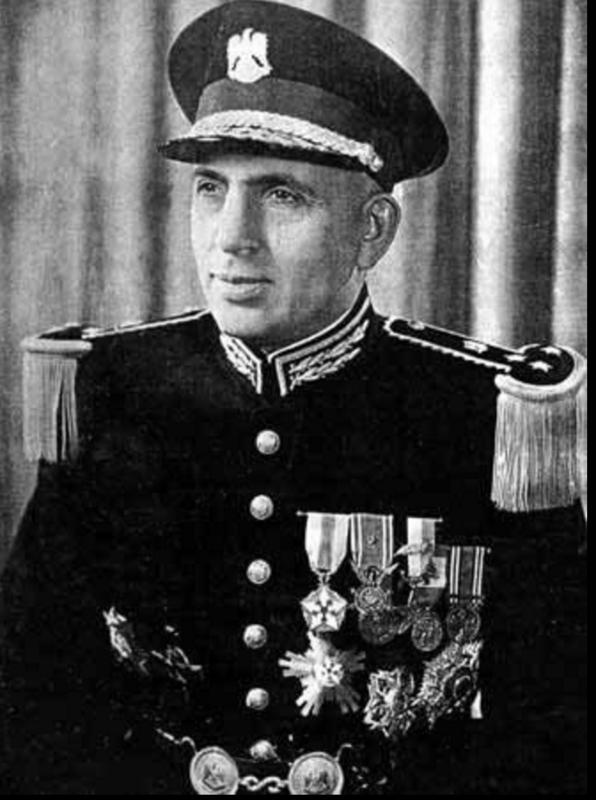 Aside from his coup and military rule, Shishakli was known for preserving Syria’s independence and sovereignty during a period of heightened Western influence in the region. He shunned military aid from the Eisenhower Administration and but also kept Syria from falling into the Soviet Bloc. The Fertile Crescent Project (sometimes referred to as the Baghdad Pact) was the primary driver of the region’s geopolitical trends during his time. The British sphere of influence extended over Iraq and though there was a desire to erase the artificial borders, the potential threat of Western interference led the nationalist forces inside Syria to keep prospects of a union between Damascus and Baghdad at bay. Syrians are fiercely protective against potential foreign interference, real or perceived. For Assad, the role of safe guarding Syria’s independence from foreign influence remains a primary factor in resisting the negotiations in Geneva and the notion of a political transition. Assad’s recent anti-Western comments outside Daraya mosque further demonstrates this resistance. The heavily reliance on Russia and Iran is regarded by Assad’s supporters as a genuine friendship and it is not yet known how their increased influence will impact Syria for the remaining duration of the war. Shishakli was able to court Egypt and Saudi Arabia and allowed France to maintain a level of nominal influence inside of the country. Just as Assad has leveraged Russia and Iran, Shishakli knew how to utilize the region’s players to keep Syria neutral during the Cold War and safeguard its independence. Iraq was a key instrument in fomenting internal dissent and organizing the forces that ultimately united against him. It is easy to see how Syria’s central government historically wrestled with control over various regions. Towards the end of his rule, Homs was the key center of anti-Shishakli activity. However, he perceived the Druze as a threat to his regime. Shishakli was perhaps most notorious for his efforts to curtail the tribal-based power of the Druze located in southern Syria. The Druze never forgave him for the shelling and military assault on Jabal Druze (Druze Mountain) and many Druze officers in the Syrian army later formed the backbone of the coalition (supported by the Iraqi government) that conspired against him. Today, regional agitation plays out in all parts of Syria. Aleppo remains the central stronghold for anti-Assad Arab rebel activity. In addition, the Baath Party’s years of brutal Arabization policies towards the Kurds in northeastern Syria present a similar case. The Kurds and the Assad loyalists have frequently clashed in the city of Hasakah. A central component of the Islamic State’s strategy to recruit Sunnis and hijack anti-Assad sentiment of the Syrian rebellion was the border destroying ideology of its so-called caliphate. Whether consolidating power over Syria from Damascus or Raqqa, figurehead leaders have relied on a strategy of projecting the image of strength and an absolutist position to maintain the state’s sovereignty over the country. As it was difficult to enforce during Shishakli’s time, it is overwhelmingly obvious for Assad. If Syria is to remain united, the same will hold true for whoever follows him. Secular and progressive, the SSNP enjoyed the height of its popularity during Shishakli’s Syria. It wasn’t until after Shishakli’s overthrow that the SSNP’s political fortunes took a turn for the worse. Lebanon acted as a hideout for political exiles, such as the Baath Party ideologue Michael Aflaq, who returned to Syria to enact revenge on the SSNP after Shishakli’s downfall. After the 1955 assassination of the widely popular Baath Party member and army Deputy Chief of Staff Malki, the SSNP was blacklisted and effectively driven underground by the rising Baath. Shishakli entertained the SSNP during the first year of his rule. However, he eventually abstained from fully embracing the party’s central tenant of Pan-Syrianism in favor of the more vastly popular Pan-Arabism. He founded his own party, the Arab Liberation Movement (ALM) to cultivate this trend. While there are no ideological ties between the SSNP and ALM, there is a strong influence of the first over the latter in terms of party structure, salute, hierarchy of power, etc. The ALM worked to embrace pan-Arabism whereas the SSNP emphasized its concoction of nationalism, mythicism and pan-Syrianism. Both of these parties, along with the Baath and Communist Party, were progressive in nature, allowing women and Syrians regardless of sect to join. As for the Arab Liberation Movement, it has disappeared completely. 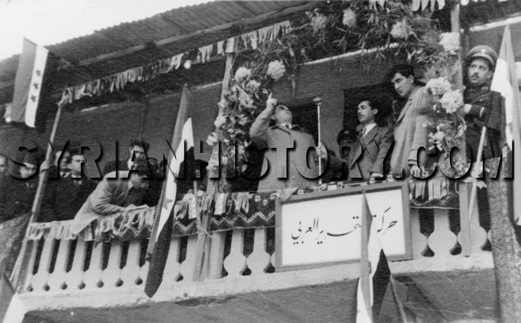 In 1954, President Hashem al-Atasi, picking up the pieces after Shishakli’s departure, choose not ban the former dictator’s party, and even allowed the ALM secretary Maamoun al-Kuzbari to run for parliament (and obtain a seat). The ALM eventually died out with the start of the Syrian-Egyptian Union. The ALM was ultimately unable to survive without Shishakli. A few hidden reminders of the ALM remain in plain sight. There is a major square in Damascus, when entering the Christian sectors, called “Sahet al-Tahrir” which was actually named after the Arab Liberation Movement (Freedom or Liberation in Arabic is Tahrir, noted in the name of the party, Haraket al-Tahrir al-Arabi). Al-Kuzbari (who later became Prime Minister) was allowed to be buried in Damascus when he died in 1998 and was given a semi-official funeral. As of 2016, his picture hangs in the main hall of Syrian Parliament to honor his role as the speaker of Parliament during the Shishakli era. ALM rally in 1953. The sign reads the party’s name, Haraket al-Tahrir al-Arabi. The SSNP suffered both persecution and a popular decline in Lebanon and Syria until the late 1960s, when many of the SSNP leaders were freed from Lebanese prisons and began to rebuild the party during the 70s and 80s. It was during the Lebanese Civil War, that the party tentatively tested a friendship with Hafez al-Assad. This friendship later paid off. The SSNP has not only survived but has seen a resurgence during the Syrian Civil War. The Baath have always held a distain for Shishakli, regarding him as a foreign stooge. There are no references to Shishakli in the SSNP’s party literature, since it would antagonize Syrian Druze and the Baathists, the latter are their political allies and who the SSNP are backing in the civil war. SSNP leader Issam al-Mahayri in Parliament (right with glasses). The SSNP’s older generation still speaks very fondly of Shishakli, but always in private. “Party President Issam al-Mahayri stepped down in late 2015 and was a good friend of Shishakli. When giving a four-part interview to the semi-official Al-Dunia TV channel in 2010, al-Mahayri spoke positively of Shishakli and his words were aired on state TV uncensored,” said Sami Moubayed, the founder of the Damascus History Foundation. The SSNP’s leadership is proud of the fact that he and his brother Salah were early members of the party, along with Akram al-Hawrani, who later became a key member of the Baath Party. However, Shishakli was never instrumental as an ideological figure in the party and his influence is more nostalgic than anything else. Shishakli is thus still celebrated by the SSNP as a VIP member without ideological the inspiration. Despite this, should the Assad regime win, the SSNP may play a greater role in post-war Syria as a vehicle for fostering a renewed notion of national unity. With so much harm coming from Syria’s Arab neighbors, the Baath’s concept of pan-Arabism might truly be dead. If the SSNP increases their political influence, Shishakli could perhaps become rehabilitated in the public discourse. Shishakli began to scale back the role of the military in Syria’s political scene in an effort to legitimize his rule. Many well-connected officers who suddenly felt detached and disenfranchised turned to Shishakli’s political enemies. With the help of Iraq, factions of the army were able to present a united front to subsequently oust him from Damascus. Once the Baath came to power, they worked to erase his existence from Syria’s collective memory. For many years, the ruling party worked to erase him from Syrian history. In private, he is still regarded and respected as a prominent and transformative Syrian leader. “There is no mention of Shishakli in school books, at any level, and he is never mentioned on Syrian TV with the one exception of a television series called Hammam Al Qishani produced during the 1990s, where a Syrian actor, Ussama Roumani, played his role. 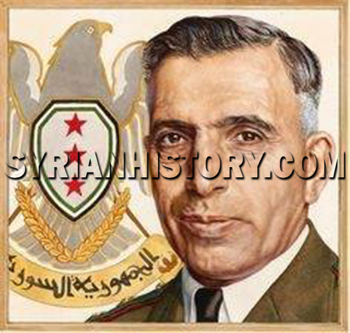 Only one book was published in Syria about Shishakli since his resignation in 1954, and it was a mediocre one that failed to do him any justice,” explained Moubayed. In Damascus, there is not a single monument or a plaque bearing his name. Even the official history of the Presidential Palace that Shishakli constructed at the tip of Abu Rummaneh Boulevard (now office of Vice-President Najah al-Attar) is obscured. The palace is usually associated with Nasser, who addressed Syria from its balcony in 1958 to herald in the country’s ill-fated union with Egypt. Shishakli never returned to the presidency in Syria after leaving office in February 1954. Though there are two examples of when Shishakli had planned to return to power. First, it was revealed that immediately after his departure he tried to reroute the plane to Beirut when his supporters urged him to return. This effort, however, was stymied by the U.S. State Department and his plane was denied a landing permit at the Beirut International Airport. 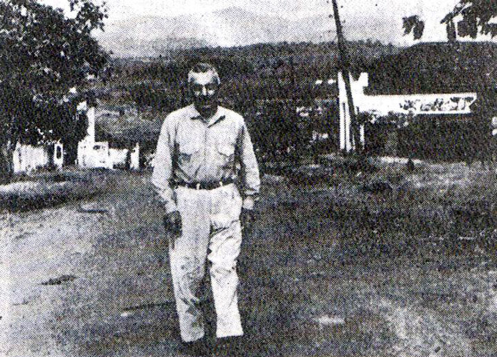 Shishakli pictured in exile in Brazil a few days before his assassination. The second event was a few years later when the SSNP facilitated several rounds of secret meetings in Beirut with Shishakli, his brother Salah, and a group of coup-plotters. However, Shishakli, a military man through and through, knew that the plot did not have the support of the Syrian army and decided against participating. Should Assad eventually decide to seek exile in Russia, it is possible that following years of political turbulence and terrorism, he could orchestrate his own return to power. To enact such a maneuver would be dependent on the level of support both in and outside of Syria. The elections that followed Shishakli’s four years of dictatorship brought about the short-lived union with Egypt, a union that’s end brought about years of political squabbles. This was compounded by the breakdown of the army, which became factionalized and rudderless without Shishakli. An array of officers organized and formed their own secret networks of political patrons. An alliance of mutual interests between Aflaq’s Baath Party and the Syrian Communists ushered in a new era of authoritarian rule that led to the Neo-Baathist coup of 1966 and ultimately the Assad family’s current dynasty. When considering Shishakli and his time, it is important to recall that when confronted with the news of rebellion, he could have resorted to the use of force (he did, after all, still control loyal factions of the military including heavy armor divisions) but abdicated in favor of self-imposed exile and avoided certain civil war. It is possible he knew that Syria, with its fragile political foundations and regional rivalries, would be at risk for long term turmoil. This very fear that Shishakli sought to avoid continues to play out in full earnest today. For Syrians who remember him, Shishakli was a divisive leader, either regarded as transformative and progressive or despised as a dictator. His eventual assassination in Ceres, Brazil, coupled with the many years of rule by the Baath helped to cement the shroud over the memories of his existence. As the Syrian independence flag once again flutters in a period of uncertainty, it recalls the history of Shishakli and Syria’s forgotten past. Christopher Solomon is an analyst with Global Risk Insights. Chris traveled to Lebanon and Syria in 2004 with the CONNECT program at the University of Balamand. He earned his MA from the Graduate School of Public and International Affairs (GSPIA) at the University of Pittsburgh. He also interned at the Middle East Institute in Washington, DC. Interesting read, if for only a history lesson. Also, that the U.S. State department was involved back in 1954. Amazing that after all these years, the U.S. State department hasn’t learned any lessons about dealing with the MENA or its peoples, aside from Waring on them. Shishakli was a dictator. He introduced land reform, but on a minor scale. He changed the names of Syria’s regions to “Arab” nationalist names, such as enforcing Jabal Arab for the Druze Mountains, etc. He established a one party state. He banned political life in Syria. So, Maysaloun is right, Shishakli established a tradition and institutions of authoritarian rule that have only metastasized over time until arriving at their ugly state today. All the same, Jamal al-Atassi, an important early adherent of the Baath Party from the illustrious aristocratic, Homsi family explained to me in a 1987 interview in Damascus that he regretted the Baath Party’s overthrow of Shishakli. He told me that the Baath leaders and Syrian people should have been more patient. That Shishakli was pursuing the right “nationalist” policies of land reform, development, building schools, and fighting poverty, without stifling capitalism and entrepreneurialism. 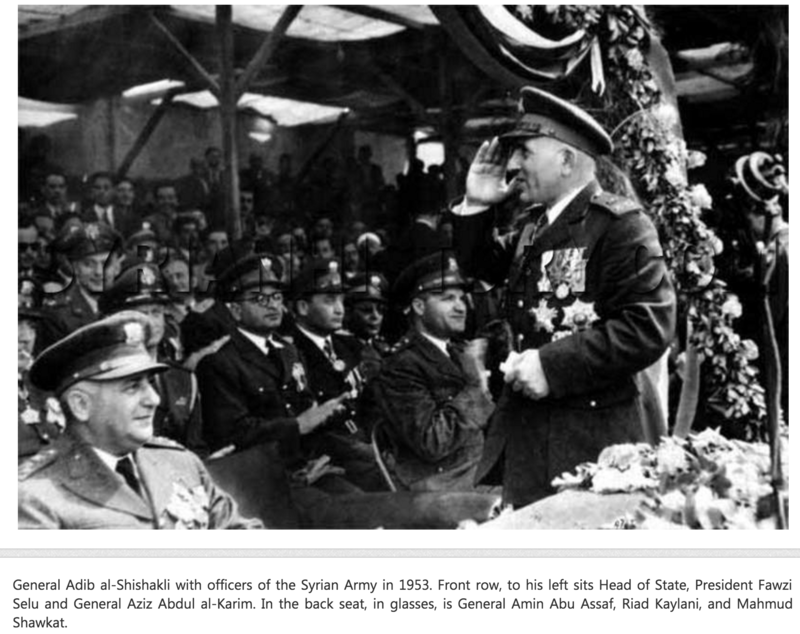 Despite Shishakli’s flaws, Atassi believed that the Syrian people would have been better off had they backed him and not sent the country tumbling down the path of instability, coup after coup, and more radical and severe forms of socialism and dictatorship. Of course, Maysaloon is right. Shishakli had participated in every Syrian coup and was an instigator of instability. His attack on the Druze was vicious, even if it seems tame by today’s standards of violence and repression. All the same, Shishakli was willing to attack the Druze ideologically and physically in a way that left deep scars. Yes, shishakly was not as bad as his enemies say, there are alawites who think he was a better president than the Assads. Syrians needed 10-15 years of shishakly-type rule before initiating democratic reform. Albaath in many ways was a regressive party and was wrong in accepting and supporting the unification with Egypt and I persobally believe that the interruption of shishakly rule was not good for Syria. What put Syria on the wrong track was not shishakly it was albaath and the Assads (especially after 1979) then the rise of islamist movement. Back to today’s events, watch Hama, islamists are receiving support from the West, Turkey and the GCC to pressure the regime to stop its campaign in Aleppo. The press reports about direct aid to Nusra from the USA are not without merit, there are regional powers that convinced Washington that islamists should be left alone or even get support to stop Assad, many in the opposition are publically endorsing this strategy. US says an intel treasure waiting in Mosul to know more about insight on ISIL in Syria, Iraq and abroad. It looks something may be changing regarding US / Russia relations. Maybe we will finally know who is behind ISIL and how Russia can be attacked by US proxies. US struggle in Syria now is how to pretend to be relevant and keep the Brookings fairy tale alive. Obama! It’s okay to hold the tail when you turning back. Useful to remind Mr. Kerry that his hint to use terror in Russian cities did not protect the territory of the United States against terrorism, another suit. it seems that Mr. Kerry lost to think sensibly. US not to strike at al-Nusra because of “close to its positions of the civilian population.” Very selective humanism. In Iraq and in Libya it was not. The audio leaks from Kerry’s meeting with members of the Syrian opposition triggered shock waves that hit many people who once believed that the U.S. will get into war to change the regime in Syria. You live and learn but some people have given their brain a vacation and allowed their hatred and the urge for revenge to occupy their upper house !! Qudsayya will be free from rebels.